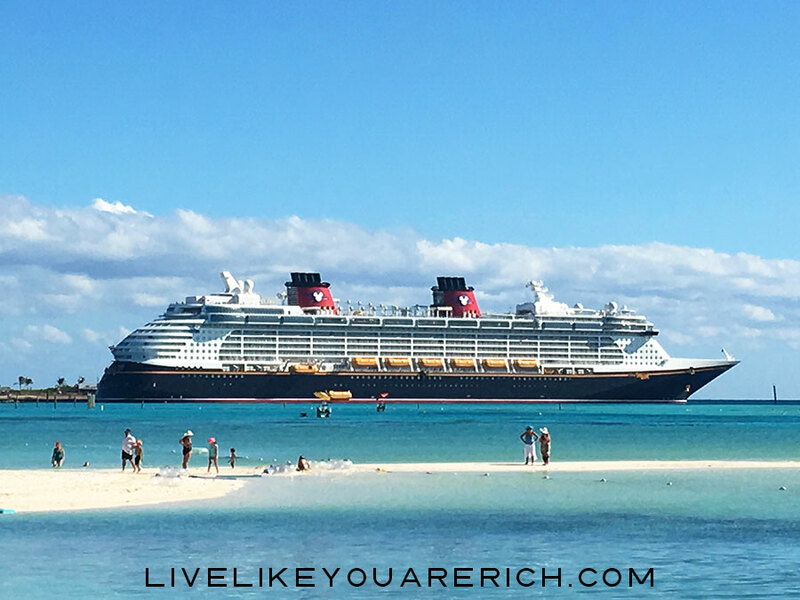 Today, I welcome my friend and Disney Travel Expert Danielle who shares 7 extremely effective ways to save money booking a Disney Cruise below. The phrases “Disney Cruise” and “saving money” don’t typically go together! 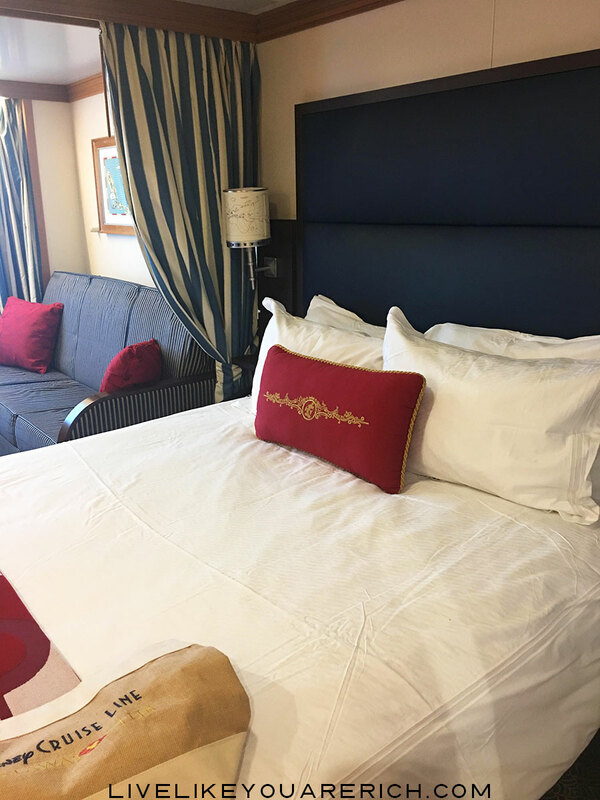 As a seasoned Disney cruiser (I’ve done 7) and as a busy, active travel agent I have 7 incredible tips to help you and your family save money on booking a Disney Cruise. After reading, do check back because I will post again about how to save while on the Disney Cruise. Prices rise as the ship fills, so booking the farthest out for your trip will ensure you the best availability and the lowest prices. TIP: The Disney Wonder tends to have the least expensive sailings and the Disney Fantasy has the most expensive. Book the right rooms for your family. Inside cabins are typically the least expensive. What many people do not realize is that the Disney cruises have an awesome inner cabin magical porthole with a real time view outside the ship. Kids especially love the real-time porthole window because Disney characters can be spotted seemingly flying through the air or swimming in the ocean. Is your family more than 4? Disney doesn’t have inside cabins that sleep more than 4. So you have to go with an expensive deluxe family oceanview (those sell out FAST) or a deluxe family verandah. Another option for your larger family is to get quotes for 2 inside cabins connecting! This way you have double the TV’s (so maybe your kids won’t fight over which Disney channel to watch), double the bathrooms, and a quiet cabin for those that go to bed earlier or need naps. Also, where you are located on the ship can be important. Want to be near the soda machines? Or a close walk to most dining areas? Make sure you know where your cabin is and what may be above or next to you for noise. I’ll always look those issues up for you! TIP: Obstructed views can be less expensive than rooms with unobstructed views. I can also recommend those as well. Choose the Least Expensive Times to Travel. There are times/seasons/dates when it is cheaper to sail. The biggest tip is to book when the kids are IN school. If it’s during a school break, prices will be through the roof! (Not sure when to cruise? Fill out my form to chat!) TIP: Hurricane season is overall the cheapest time to travel. I can help narrow down the best yet still relatively safe time to sail. Using a travel agent is always the BEST way to save money—especially on a cruise. My services are FREE and I also send thank you gifts. Not only can I help you choose the least expensive dates, I can place you in the best cabin for your budget. Worried about a quiet cabin? Want the easiest access to dining, or the pool or the kid’s clubs? I can help you choose the perfect cabin. I can help with transportation, your hotel for the night before, excursion recommendations and so much more. TIP: As a Disney vacation planner, I get extra promotions, discounts, and packages that you would not be able to find online. Are you military or live in Florida? Or would you like to sail in a guarantee cabin (meaning, DCL chooses your cabin for you). There are special promotions offered randomly throughout the year for these parameters. There are even “children sail free” promotions, Canadian discounts, etc. These rates come out VERY last minute. So if you can swing a last minute trip and you’re looking to just get on a ship, then this may be a great option for you. TIP: If the price goes down after you’ve booked, you can always call in and adjust your rate and I’ll keep my eye open for those price drops. Keep in mind some promotions have to be new bookings, so you may have to cancel and rebook. Cruising Disney is addicting and once you’re on the ship, you’ll be anxious to go again! TIP: Once you’re on board you can save 10% off a future cruise, get discounts, PLUS get On Board Credit from Disney for doing so! When booking with me, you can pay the deposit and then make payments whenever you’d like. You can set up a monthly amount and date or just call when you have some extra funds to put toward your trip. TIP: Many clients do this to save by avoiding credit card interest. I have many more tips and tricks up my sleeve! And I’d love to share them with you. If you’re interested in a free quote to see how a travel agent can help save you money, I’d love to help! Fill out this quick form and I’ll get right back to you. **Danielle Wann is the owner of Epic Escapes. She was an annual pass holder for 2 years and brings lots of knowledge on Disney. She grew up in Florida, near Disney and lives with her husband and two children. She is a graduate of the College of Disney Knowledge and has attended specialized Agent Education Programs at both Walt Disney World and Disneyland. Danielle is a graduate of the Universal Parks & Resorts Specialist Program as well as a member of CLIA (Cruise Lines International Association). Besides Disney and Universal Studios; Danielle is also knowledgeable in Royal Caribbean, Princess and Norwegian cruise lines as well as Sandals, Beaches and Club Med. Danielle can be contacted by filling out this form or email directly at [email protected]. Danielle has actually helped my family research and book a cruise for 2015. She is very responsive, helpful and knowledgeable. Thanks Danielle! 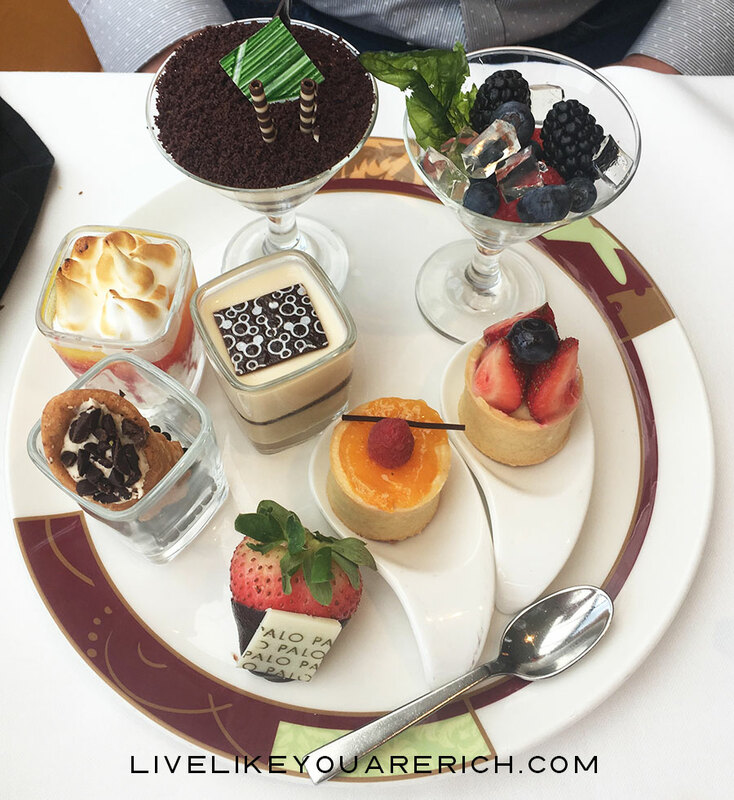 For other ‘rich living’ tips please subscribe, like me on Facebook, and follow me on Pinterest and Instagram. I have a quick question. Will Disney cruises still leave out of Galveston, Tx next summer? If so, will it be the cruise that goes to the Castaway island? Crystal please ask Danielle. I’ll ask her to answer this. Hi Crystal, DCL cruises out of Galveston in January, November and December in 2018. If you have any more questions please don’t hesitate to email me anytime! Having Danielle write this post was an awesome idea! There were definitely some tips in here that I would have never even thought of! I found your blog because you followed me on Twitter. 🙂 Danielle, after having cruised on Celebrity, Carnival, Disney, and Holland America, I definitely only want to do Disney cruises! My husband and I have never bought an inside cabin before, but are considering it because we feel like the balcony and window cabins are overrated. haha. We are definitely hoping to take a disney cruise at some point. These are great tips to have in mind before booking! Looks like I need to book early.